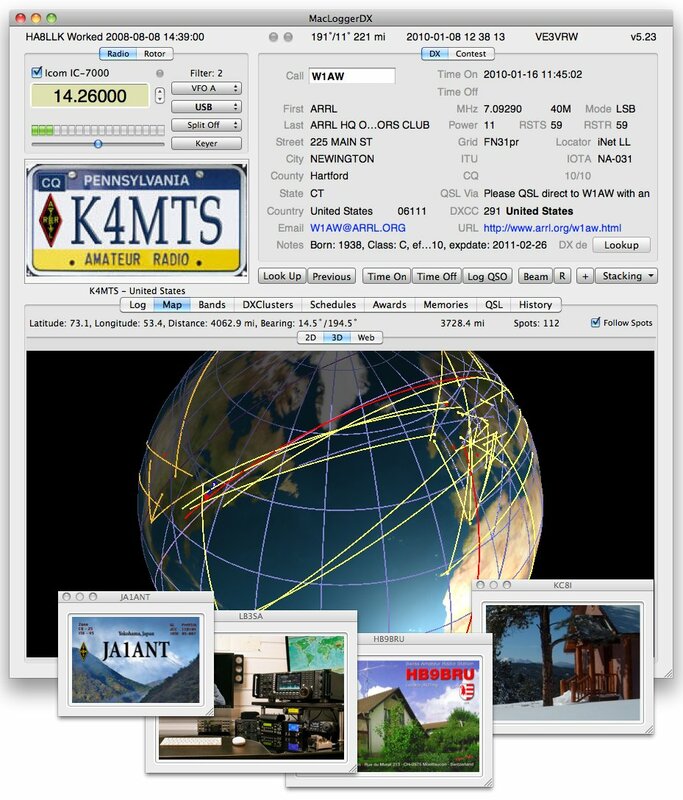 MacLoggerDX is a very powerful and streamlined OS X application designed from the get-go to help you track DXCC, IOTA, WAS, WAZ, CQ WAZ and VUCC easier than ever before. Furthermore, MacLoggerDX can be configured to use Apple’s Mail.app or Eudora to automatically e-mail you whenever an unusual DX location appears in the DX Clusters. Moreover, MacLoggerDX is an simple to use and powerful radio spot tuner that features extended support for the microHAM USB CW and USB micro KEYERs. In addition, MacLoggerDX will allow you to login into your favorite TNC or telnet DXCluster, and, while receiving DX Spots, will tune your radio in place, all the while looking up and displaying the DX station on the Greyline Map. MacLoggerDX is also capable of monitoring, decoding, searching and plotting APRS packets received from APRSServe over the web or any connected TNCs. You can also effortlessly log in to any DXCluster telnet server of your choice using MacLoggerDX, and it will automatically make sure that you are tuned in on the exact frequency, while also instantly connecting the call for you and list the current DX station on your map. What’s more, MacLoggerDX automatically moves the radio’s beam according to the Long or Direct Path of the station, as well as rapidly add the VFO info and the QSO in the log for you. Just in case you want to, the MacLoggerDX utility will also make it simple and easy to add the information manually within your User Call Book. On the whole, MacLoggerDX is a full-featured and comprehensive app for all ham radio fan who want to manage their daily logs easier and control their rigs simpler using a Mac computer. Supported Rotator Controllers: Yaesu GS-232, hy-gain DCU-1 Pathfinder, M2 RC2800, STARtek, Idiom Press RotorCard SDX. Supported Antenna Switches: microHAM micro Band Decoder. Internet connection for Telnet DXClusters and/or Radio & TNC for Packet DXClusters. This demo version will only run in 15 minute sessions.